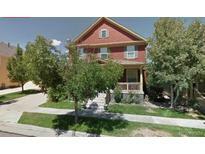 Find Henderson, CO Homes for sale. View Photos, Maps and MLS Data Now! Stillwater - All the southerly windows are applied with Vista Window Film 99.99% UV and IR rated. MLS#6989420. Aragon Realty Group. Open space to the north of home w/plenty of parking space. Lots of room! MLS#5753715. RE/MAX NORTHWEST INC.
With your short commute to downtown or the airport this one is sure to please! MLS#4496178. Your Castle Real Estate Inc.
Hazeltine Heights - Window coverings, this home is a quick move in Gem MLS#5129915. LEGACY REAL ESTATE SERVICES. Villas At River Oaks - Master bedroom has a lot of natural light, walk in closet and attached master suite bathroom. MLS#9645237. Brokers Guild Classic. Fuller Estates - The 35'x35' shop is ready for all your projects and the best part of all... NO HOA! MLS#9310416. RE/MAX MOMENTUM. Contact the listing agent for a private showing. MLS#7789465. COLORADO LANDMARK REALTORS. Belle Creek - Finished basement has a huge master bedroom and a family room. MLS#7272501. Diaz Realty.